Pinterest is taking over social media like a tsunami of college students on a pizza delivery guy. Why not? It’s fun, highly addictive and – newly announced as the 3rd most popular social network in the World – it’s creeping up on Facebook with 11+ million users. So how can you leverage that popularity to expand the reach of your press releases? Try these tactics. Including a relevant infographic with your press release is a fantastic way to give media and news outlets a visual to go with your story, plus it takes advantage of one of the most popular ways to share data. For inspiration, try searching wire service websites like BusinessWire.com or PRNewswire.com using the keyword “infographic.” It turns up examples like these: Kronos, PayAsUGym, Ebates and BackPainRelief. This may seem obvious – but don’t just run the infographic with your wire release, or embed it in your email. Be sure to upload it on Pinterest, then add a hyperlink back to the full release with a short summary and a few keyword hashtags. If you are pinning one press release, why not create a corporate newsroom pinboard to showcase it, along with your other media/news assets? It can mirror your website’s newsroom, or enhance it with fresh material. Here is a great example from Cisco. In addition to press releases and infographics, your newsroom pinboard can include news clips, company blog posts, short pitches or expert opinion comments, video – even executive headshots and logos. Just make sure that anything pinned to your newsroom is legible enough to entice clicks, properly trademarked and approved for public use. Another powerful media tool is an executive staff pinboard, which links headshot photos to biographies, bylined articles and other content that demonstrates their credibility as an expert resource. When you quote them in a press release, try linking their name directly to their pinboard for added oomph. This capitalizes on search traffic and creates a natural platform for your news and/or infographic. For example, if your press release is about a fabulous new bridal store, or a new wedding reception service offered by a local resort – create a pinboard relevant to brides. Most of them look online for inspiration, so a pinboard on “Most Popular Wedding Dress Styles” or “The Perfect Table Centerpiece for your Reception” might target your audience nicely AND complement the topic of your release/infographic. If your press release launches a new software product, then pinning screen captures and packaging photography might be a great start to your board. SEO is your best friend on Pinterest. I’ve had boards rank highly in Google within 48 hours, even for keywords that have been difficult to rank using traditional methods. Including keywords can magically propel your pin visibility – and thus your press release – so it’s well worth the minor time investment. Amplify your news results even further when you optimize your pins for the same keywords used in your release. How? Just include the same primary keyword in the title of your pinboard, wrap them into the description of each pin, then add them as a hashtag. Not only is Pinterest valuable as a post-distribution strategy, but it can spark great ideas for trend releases and bylined article topics. First, use Pinterest to identify what is being repinned and liked. Create a pinboard around a popular topic, optimize it for search, then support it with a trends or expert opinion press release that links right back to your Pinterest board. Voila – newsworthy content on a very hot topic! 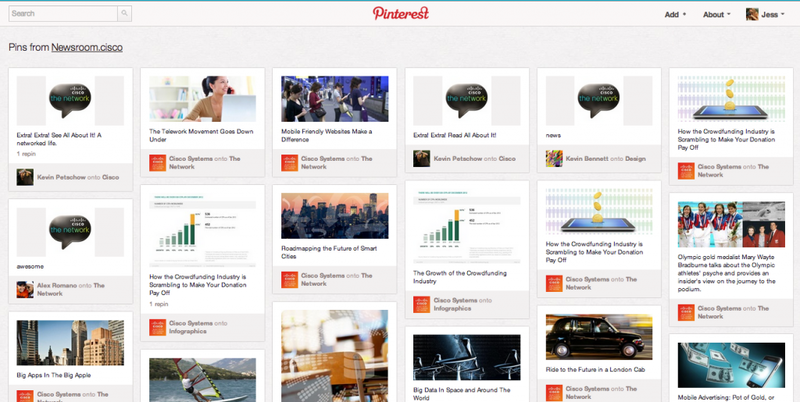 Are you using Pinterest to expand reach of your press releases, or have you seen a great example? We’d love to hear about it! Post a comment to share.